On the outside, while people see someone who can be a bit of a worrier at times, their view is that they are looking at someone who is not broken. They see someone who strives to work hard in their job, who likes to be the one who is organised, makes the plans, and organises everyone else. They see someone who likes to be in control of things, and lead things. They see someone who is opinionated, even argumentative at times. They see someone who always likes to be right! They see a wife, daughter, sister, friend, colleague. They see a big kid, someone who likes a laugh and a bit of banter. They see someone who is loyal, reliable and always willing to help wherever they can, at the drop of a hat. They don’t see someone who is perfect. They don’t see someone without faults. But they don’t see the inner me. I feel like I have 50 people calling my name at once. I feel like I can’t follow and reach the end of one train of thought without being dragged onto the next. I feel like I am constantly in solution mode. I feel like I never stop worrying. I worry about one thing after another, and the worry never ends. I worry about everything. I worry about worrying. I worry about the things I might not have thought of to worry about yet. I feel like I am unhappy in my job, that I have failed. I feel completely unorganised, chaotic, like I am trying hard to bash the moles back into the holes. I feel like I enjoy organising things, but I worry things won’t go to plan – that I will make a mess of things, or let people down. I feel out of control and like I am constantly chasing my tail to regain control of my life. I feel like I constantly annoy and irritate everyone. I feel like everything I do is a failure and I never quite live up to expectations. I feel dependent completely on my friends and family and that I doubt very much I would be very successful at living completely independently, due to my own lack of discipline and maturity. I see someone who is the opposite of perfect. I see someone who can’t even look at her own reflection. Mental Health issues aren’t always visible, and because of the stigma, they can’t always be talked about. This is why it is so important to break the stigma of mental health issues. It is so important to talk about things and be able to express on the outside how you feel on the inside. Breaking the stigma means the battle no longer has to be handled internally. It no longer has to be faced alone. This is so raw and open, well done! I know how hard it is to feel like no one really sees you for what you are, and feeling like you have to hide yourself away, but you’re getting through, and I’m proud of you. An insightful and honest description of the contrast between our appearance and our inner world. I can relate immensely. Wow. My favorite post from you so far SM. You really dug deep down and brought out so much of how you really feel about yourself often. And it makes you strong. Not weak. Masking is very damaging so it’s important we never stop talking which is why this Twitter community is a blessing. Keep these posts going! You’re doing an amazing job. Thank you!! It means a lot that you say it is your favourite post so far!! This is raw, but still quite developed. I think by writing it all down and gaining some self-awareness you’re doing yourself a great service. By sharing you’re doing yourself another service by reaching people who can relate. I think in the end, you’ll discover you’re not alone, but in the company of most overachievers. In time, I hope you can embrace that drive and let the worry simmer down. The pursuit of perfection is a bit of an enemy. The definition of perfect changes so quickly, there’s no catching it. It’s the “Unobtanium” (if you saw Avatar). 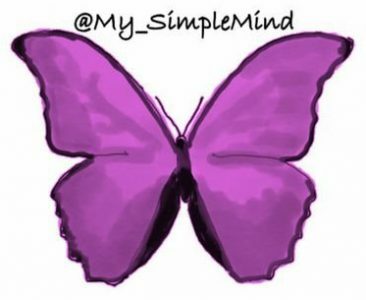 There are many tweeters with great tips for self acceptance, self love and life balance. Thank you so much for your lovely feedback! !